Subscription radio company SiriusXM says it's buying music streaming service Pandora Media Inc. in a deal valued at about $3.5 billion that will allow it to expand its service beyond cars and into mobile devices and homes. 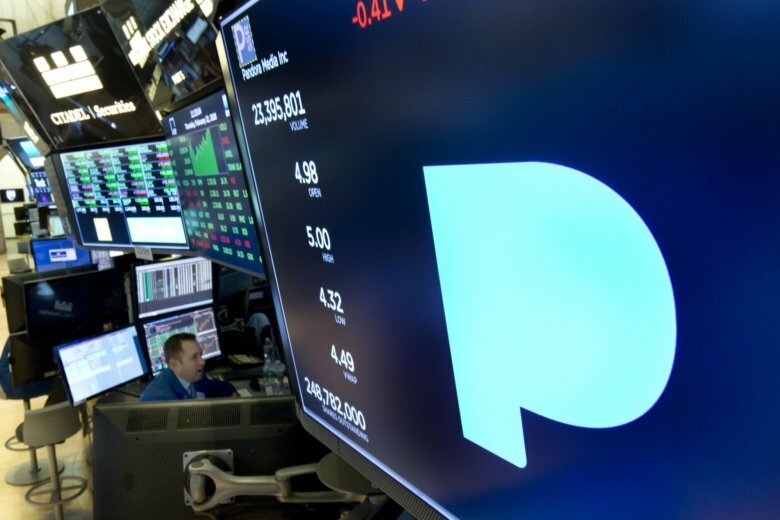 NEW YORK (AP) — Subscription radio company SiriusXM says it’s buying music streaming service Pandora Media Inc. in a deal valued at about $3.5 billion that will allow it to expand its service beyond cars and into mobile devices and homes. Pandora has faced intense pressure from competitors like Spotify and Apple. Its last quarterly profit was in December 2014. But a buyout by SiriusXM, which made a $480 million investment in Pandora in June 2017, may be the boost the business needs. The ability to provide a subscription service that gives Pandora customers access to streaming music and satellite radio could help set it apart from its rivals and would likely draw in new customers. And SiriusXM’s relationships with automobile companies will open the door for Pandora to have better distribution in that market. Meanwhile, the deal will help SiriusXM tap into Pandora’s mobile strength while giving it the chance to improve in areas such as making personalized listening recommendations. New York-based SiriusXM Holdings Inc. has more than 36 million subscribers in North America, while Pandora has more than 70 million monthly active users. Maria Ripps of Canaccord Genuity noted that data from the Recording Industry Association of America indicates consumers are increasingly moving away from physical music purchases like CDs, as well as from digital downloads, in favor of streaming. Streaming subscriptions are now the fastest-growing segment of the music market, with paid subscription revenue up 37 percent in the year’s first half, Ripps said in a research note. Pandora stockholders will receive 1.44 newly issued SiriusXM shares for each Pandora share they own. Pandora also has a “go-shop” period in which it can solicit other offers from third parties. SiriusXM said both brands will continue to exist, along with their respective products and services. Both companies’ boards have approved the deal, which is expected to close in 2019’s first quarter. It still needs approval from Pandora shareholders. Shares of Pandora, which is based in Oakland, California, initial rose but ended Monday’s trading down 1.2 percent. SiriusXM’s stock tumbled 10.3 percent.